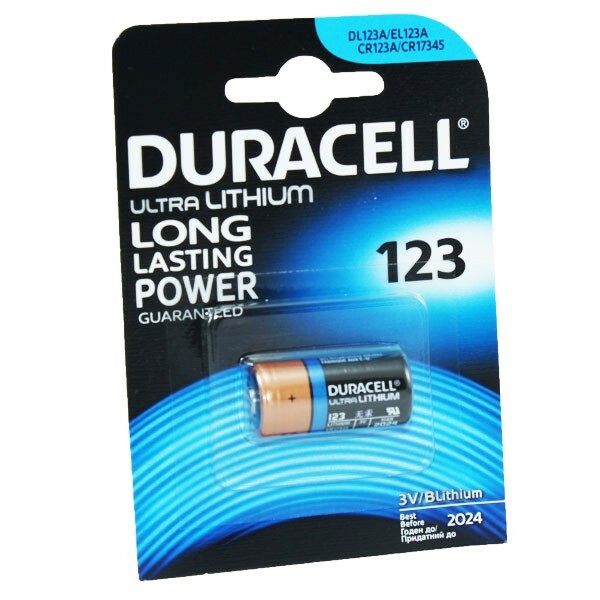 Duracell lithium CR123 battery is commonly used in high power drain devices such as cameras. In fact, many camera manufactures design their cameras to use these batteries. This battery is also know as a DL123a, EL123a, CR123a and CR17345.